This post has originally been published on the Women’s Film and Television History Network blog. Katarzyna Paszkiewicz gives an exclusive insight into the evolution of her new publication, co-edited with Mary Harrod, which develops key theoretical questions in relation to women and genre. Dealing with work across film and television, including new digital media forms, it asks what women can do with genre from a very contemporary perspective. With the upcoming Doing Women’s Film and Television History Conference IV, this is a a stimulating and ideally-timed account, exploring its roots in Doing Women’s Film and Television History II in 2014. 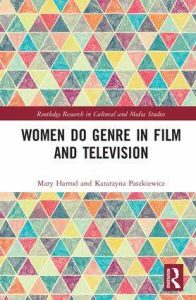 The collection Women Do Genre in Film and Television (2017), which I co-edited with Mary Harrod, bears the traces of many encounters. 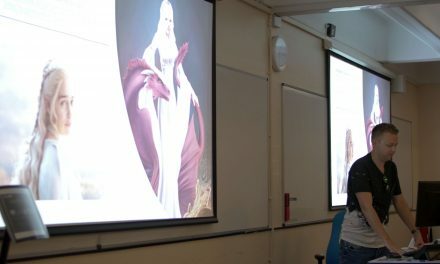 Perhaps the most significant was the opportunity to participate in a growing network of feminist film scholars and activists – Women’s Film and Television History Network–UK/Ireland and Women & Film History International – as well as the inspiring Doing Women’s Film and Television History conferences. These important initiatives have opened up space for fresh and challenging perspectives on the influential contributions of women filmmakers, whose labour and creative input have often been overlooked, discarded, or simply erased from empirical histories and critical perspectives. The idea for this book arose directly from the DWFTH panel on authorship and genre, held at the University of East Anglia in April 2014, at which we, its editors, spoke alongside Deborah Jermyn. All of the three papers in the panel emphasized the ongoing erosion of women’s contributions from screen, and in particular, genre histories: Jermyn scrutinized the massive body of criticism against Nancy Meyers, acutely gendered in nature, pointing not only to the usual scorn for the ‘women’s genre’ of the romcom and for the female audiences that enjoy it, but also for Meyers as a woman director. My paper further complicated the figure of ‘the wrong kind of woman filmmaker’, as Jermyn astutely put it. Through references to a genre codified as male (a horror film), I focused on methodological problems that beset thinking about women filmmakers as ‘subverters’ of genre paradigms, while acknowledging the productive potential of repetition in women’s skilful interpretations of Hollywood’s genres. Mary Harrod then addressed a broader spectrum of women filmmakers working in genre. In particular, she focussed on their mobilization of pastiche and what she calls ‘heightened genericity’ – a tactical pairing of narratives designed to elicit affect with extreme referentiality, which she argued is particularly prevalent in female-authored films; the result of this pairing is to further dislocate the assumptions about the male/female generic divisions. Noting the tendency in Feminist Film Studies to privilege and/or recover only particular female directors, the methodological complexities of which we explore in the book, it was the ambition of our anthology to examine and to rethink women’s film practice as an encounter between different cultural and aesthetic practices. Building on the understanding of genre not as a limitation, but a condition of creative imagining and cultural engagement, the volume set out to address women’s significant contribution to popular cinema, from the romcom and horror cinema, to the Western, superhero film, comedy and the biopic. As we explained in the introduction, it was intended partly as a provocative act of recuperation, reinscribing women within genre histories from which they have been typically excluded, thus responding to Jane Gaines’ observation in Christine Gledhill’s seminal volume Gender Meets Genre in Postwar Cinemas on the historically revisionist value of championing women as generic innovators (2012: 17). We sought to encourage contributors to give genre priority and to depart from generic analyses that have typically privileged the paradigm of subversion as a way to valorise texts. As we argued then and still believe now, the discussion of the intersection of gendered authorship and genre has become an increasingly pressing conversation in academia, not least because of the notorious obstacles that exist for women to accede to positions of power as creative artists in the commercial media-sphere. These obstacles are evidenced again by the recent scandal surrounding Hollywood producer Harvey Weinstein, an example of how power imbalances lead to abuse, generating vigorous opposition through campaigns such as ‘Time’s Up’, ‘Me Too’ or the recent Golden Globes protest. 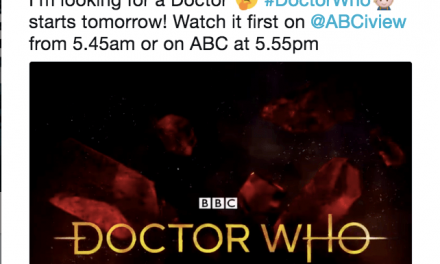 However, alongside these newsworthy events, women’s greater discursive visibility in audiovisual industries, specifically on mainstream turf traditionally seen as masculine, may be equally important in the long-term story of change. In the last decade we have witnessed an increasingly visible embrace by female practitioners of genre production in both film and television, as emblematised by Kathryn Bigelow’s Academy Award for The Hurt Locker in 2010 or Sofia Coppola’s more recent Best Director prize at the Cannes Film Festival for what she considers to be her first properly genre-based film, Southern Gothic thriller The Beguiled. Soon after work on this collection was completed, Wonder Woman (2017) – the first superhero DC Comic film directed by a woman, Patty Jenkins – has officially become the highest grossing live-action film directed by a female filmmaker and the second-highest grossing film of 2017 behind Beauty and the Beast (Bill Condon, 2017). However, it is also important to point to the limits and challenges of such newly gained visibility. While The New York Times reports that Patty Jenkins ‘broke Hollywood’s superhero glass ceiling’ (Barnes 2017), the ceiling remains firmly in place for most female directors, as demonstrated by Martha Lauzen, who since 1998 has been tracking the number of women employed on top-grossing films annually. In 2017, in terms of American cinema,[i] women accounted for 11% of directors working on the top 250 films, up 4 percentage points from 7% in 2016 and even with the percentage achieved in 2000 (while the number of writers and editors have declined, and the percentage of women cinematographers has remained the same). Significantly, these low figures also translate into a lack of industrial recognition; to date, Bigelow remains the only woman to have been awarded an Oscar for directing. At the time of writing, screenwriter and director Greta Gerwig becomes only the fifth woman nominated for the best director in the Oscars’ 90-year history. The Academy’s exclusion of women from its most prestigious category continues to be overwhelming and attests, in a wider sense, to numerous difficulties that exist for women directors working within the mainstream realm notoriously dominated by men. Thus, individual visibility seems slow to bring change. As Sophie Mayer aptly observed: ‘Authorship, like box-office success, is at once crucial to coverage and circulation for feminist cinema, and deeply problematic, invoking Default Man models of solitary genius’ (2016: 16). We recognised that it was equally urgent for our collection to reconfigure the equation of authorship away from the director towards acknowledging the myriad invisible roles involved in genre making: production, costume design, writing, performance and the role of audience and fan rewriting of shared generic materials. These practices are partly addressed in our collection, from women screenwriters’ and performers’ ‘hidden’ role in genres – screenwriters Wendy MacLeod and Tara Ison, among others, and Melissa McCarthy or Lena Dunham’s work as performers – to female-dominated forms of media fandom, such as fanfiction, including fan art and the practice of ‘vidding’: women ‘rewriting’ Hollywood genre stories with themes that are important to or enjoyed by them, such as the artist known as lim. From ‘Marvel/MCU Dance Off’ by lim. © lim/published on youtube.com. We are equally convinced that the study of women practitioners in a wide variety of contexts and across different media is vital for feminist film criticism. With this objective in mind, we have broadened our project to the use of genres in non-US contexts, in particular in France, Spain and India. Addressing the transmigration of genres between national cultures, and intersections between gender and other categories such as race, nationality and class both in and beyond dominant industries, can provide a means to denounce ‘the limitation of genre theory to Hollywood and of gender as a totalising identity’ (Gledhill 2012: 1). And our project has consolidated our conviction that refocusing critical attention on genre as a cross-media and cross-cultural phenomena has a key place in the scrutiny of women’s creative practice in screen media and can contribute to our collective work on a more complex understanding of the nature of women’s involvement across the spectrum of popular cultural production. Katarzyna Paszkiewicz lectures in the Modern Languages and English Studies Department at the University of Barcelona. She is a member of the Research Centre ADHUC – Theory, Gender, Sexuality (UB) and her research focuses on film genres and women’s cinema in the USA and Spain. She has published book chapters and journal articles on Kathryn Bigelow, Sofia Coppola, Nancy Meyers, Kimberly Peirce, Icíar Bollaín and Isabel Coixet. 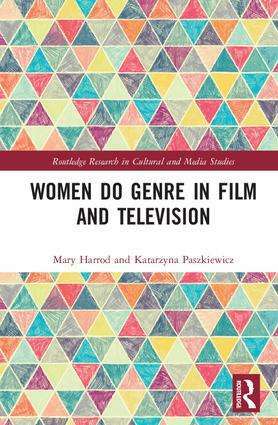 She co-edited, with Mary Harrod, Women Do Genre in Film and Television (Routledge, 2017). Her monograph Genre, Authorship and Contemporary Women Filmmakers is to be published by Edinburgh University Press (2018). [i] For information on the current UK-based project, Calling the Shots: Women and Contemporary UK Film Culture, see here. 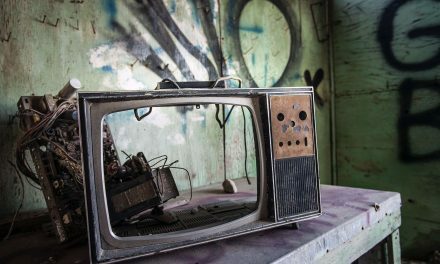 PreviousCfP: conference “Watching the Transnational Detectives: Showcasing Identity and Internationalism on British Television” Nov 8-9, 2018 @ Institute of Modern Languages Research, London (UK). Deadline: June 1, 2018. NextCfP: symposium “New research agendas for the study of sports media (re)presentation(s) of sportswomen and femininity” Oct 12, 2018 @ Northumbria University (UK). Deadline: June 22, 2018. CfP: Summer Seminar “Media History from the Margins” Aug 29-24, 2018 @ Monte Verità, Switzerland. Deadline: Jan 31, 2018.